Palais de Justice de Bruxelles [Courthouse of Brussels] is the largest known point of Passage. At least one of its doors led to the Palace of the Three Powers of Brüsel, but various renovations may have interrupted the link 1). 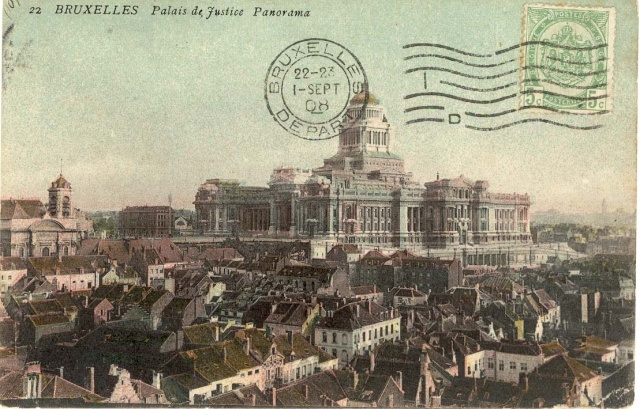 For the building of the Palace of Justice, a section of the Marollen neighbourhood was demolished, while most of the park belonging to the House of Mérode was also expropriated. The 75 landlords owners of the houses, many of whom lived in their homes, received large indemnities, while the other inhabitants about a hundred also forced to move by the Belgian government, though they were compensated with houses in the garden city “Tillens-Roosendael” (French: cité-jardin Tillens-Roosendael) in the municipality of Uccle, in the “Quartier du Chat”. Starting in 2003, renovations have begun on the building. 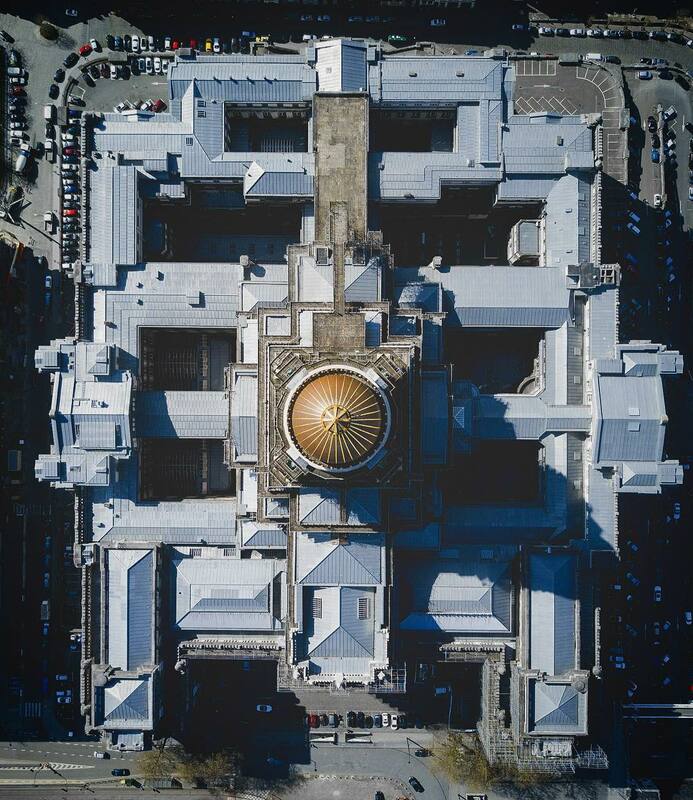 These renovations pertain to the repair and strengthening of the roof structure and the walls as well as putting a new layer on the gilded cupola.9). These renovations will take until 2040 10). François Schuiten has been fascinated by the Palais of Justice for many years. The Palais of Justice is a topic in his album with Benoît Peeters: Brüsel and in his Blake and Mortimer album. 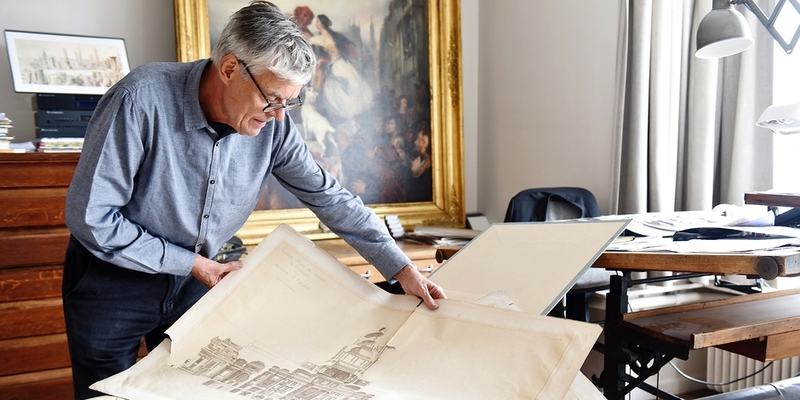 Interview with Schuiten after publication of the Lonely Planet book on Brussels. The first scene of this movie is taken from le Dossier B.